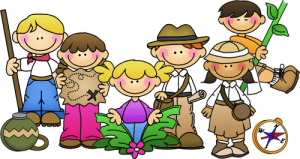 We offer places to children in the Explorers Room, The Discoverers Room and ‘Kidz Around the Clock’ club, as well as ‘Go Wild’ club. This can often be the start of your child’s nursery journey. Practitioners work closely with parents to ensure that your child has everything they need to make a smooth transition from home to nursery. Each child is placed with a key person in a colour group of varying age and ability as this aids development and fosters independent learning. Practitioners take responsibility of changing children’s nappies in their own group to ensure a close connection between child and key person. Key persons also support potty training with their own group and will discuss with parents of the best time begin this process. Parents are asked to bring a drink in a drink bottle or cup which is labelled with the child’s name and the children have access to them throughout the day. We make up formula milk as and when it is needed. Whole milk and sugar free squash is provided along with a healthy snack at set times during the day. Every child is offered the opportunity to have a rest time and this is suited to the child and their needs. Every child is provided with their own sheet and blanket which is stored in a bag, labelled with the child’s name is washed at the end of each week. Dinner time takes place in the room and are transported from the school kitchen. It is a lot calmer for the children to stay in the Explorers room for dinner, rather than go down to the school dining room with the older children. Our doors are open most of the time so that the children can access inside and outside with a variety of different activities to suit all developmental abilities.Parents are given a daily record sheet at the end of each day so that you are aware of what they been doing throughout the day. This includes what the child has had to eat and nappy changes/toileting. 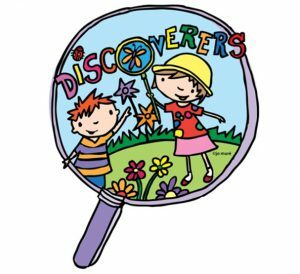 When the summer term starts, we begin transitions into the Discoverers and Inventors room, so that the children get an idea of what to expect when they move up in the September and spend time with the staff who will be teaching them. We admit children from around the age of 3 years old to 5 years old. Across the room, key persons have groups of children of mixed ages and abilities and all children in this room mingle and explore together, learning from each other in the process. The younger children learn from watching and listening to older children, and the older children learn to help and support the younger children. It provides a warm, fun and supportive environment for all to learn and thrive in. Independence is key for children in this room, ensuring children are ‘school ready’ when they leave us for the next phase of their education. Children are expected to be fully toilet trained before starting in this room, with the exception of any medical needs, as there is no room for special changing facilities. Our doors are open all day to provide exciting activities, both inside and outside for the children to choose from. The school cook makes all our hot meals and all of the Discoverers and Inventors go to the school dining hall to have dinner. Children have free, continuous access to the water fountain as well as set times during the day to have semi-skimmed milk or sugar free squash and a healthy snack. At the start of the summer term, practitioners begin the transition process for all children moving to Reception Class or moving to another setting. Meetings are set up between key persons and school teachers to ensure a full and comprehensive hand-over of the development of the children. Practitioners take children who are going to attend Hollyfield Primary School through to assembly times and to their new classrooms, where the new teacher welcomes them and gets to know them before their arrival in September. Parents are expected to arrange these sessions for any children who are attending other schools. 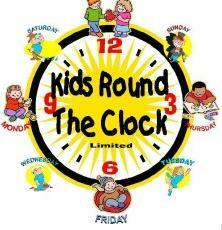 At Hollyfield Nursery Pre-School Nursery, we offer a before and after school club called ‘Kidz Around the Clock.’ The club is highly successful and extremely popular. The children who attend Kidz Around the Clock enjoy a caring, safe and fun environment, full of activities and opportunities to play, learn and socialise. We welcome children from Birth to 8 years of age and who attend nursery, pre-school, Reception, year 1 and year 2.